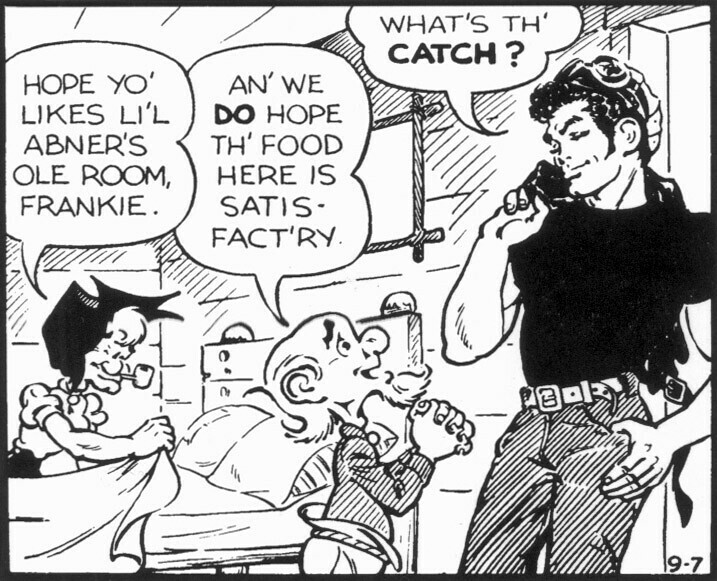 As part of SallyP’s Beefcake Week here is the late Frank Frazetta as Frankie the Biker, a Wild One Marlon Brando parody for the L’il Abner comic strip for which he did ghost-art duties for several years. Frazetta drew himself into the strip for one storyline. Unlike some artists that put themselves into their creations Frazetta did not exaggerate his looks and physique. From the photos I’ve seen of him from the period he was quite the good-looking man.